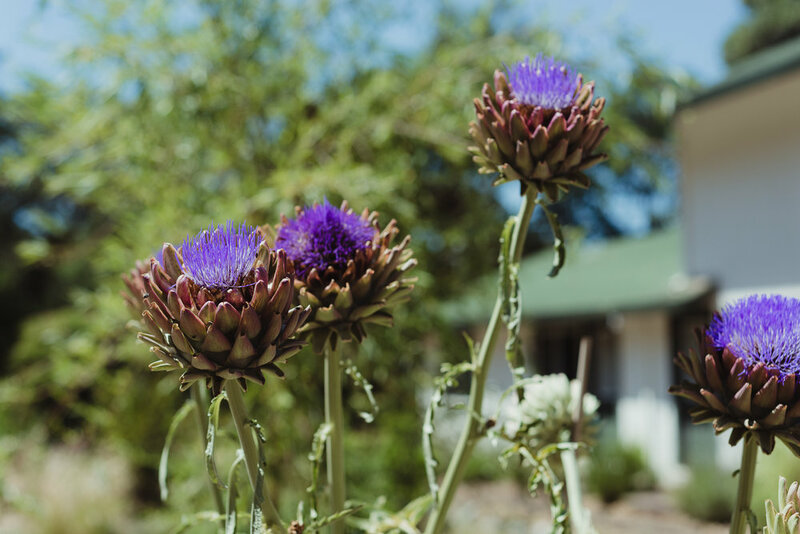 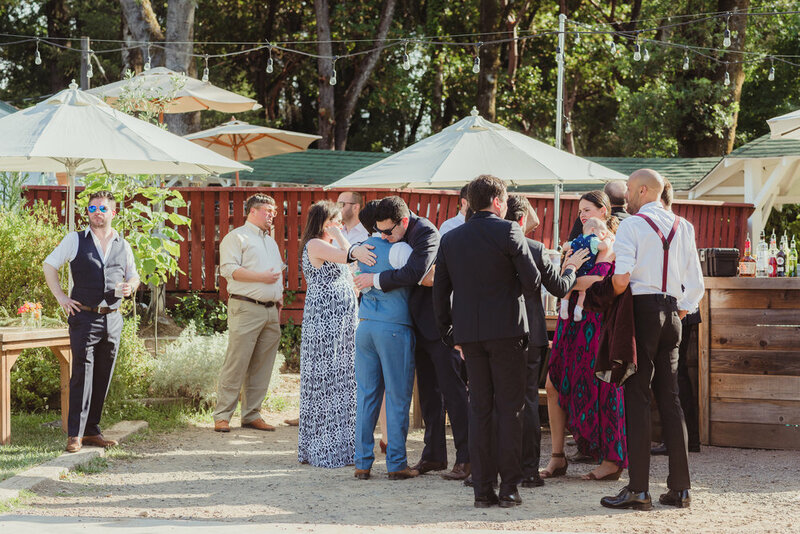 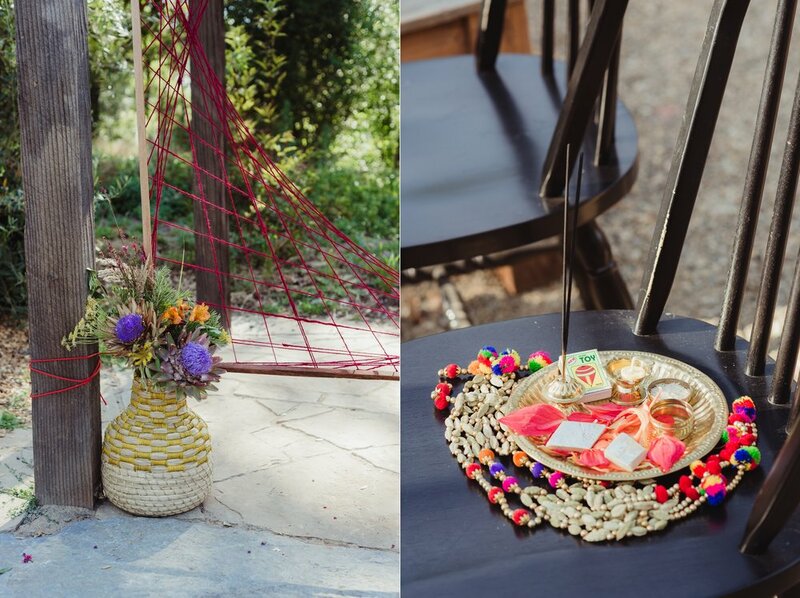 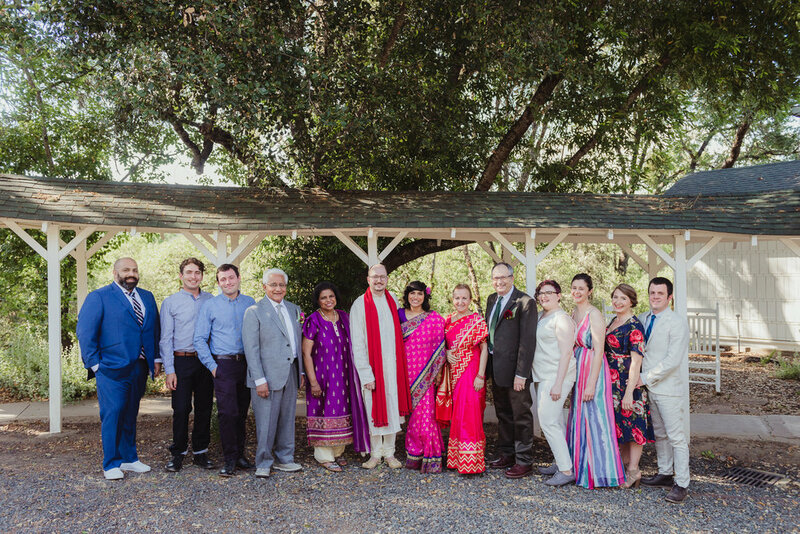 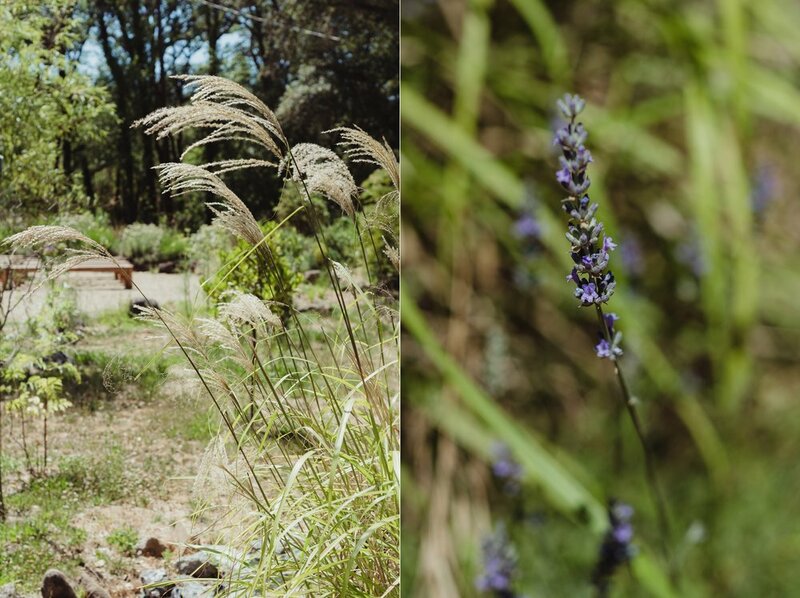 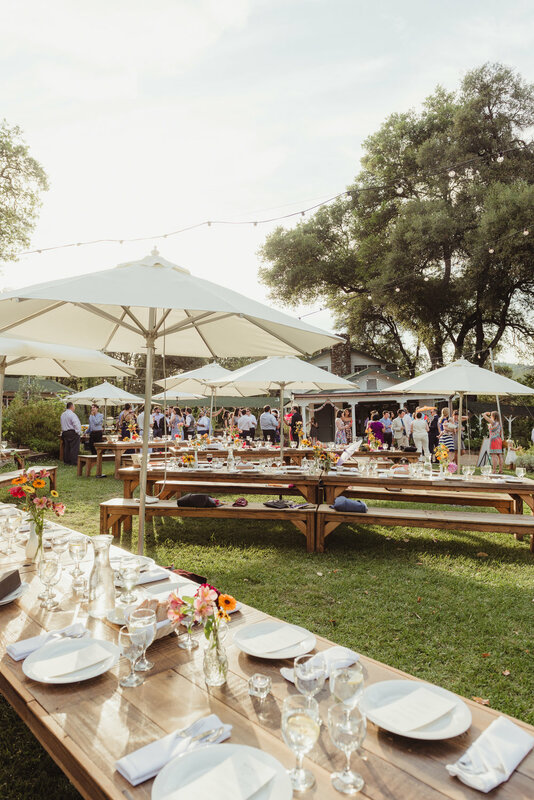 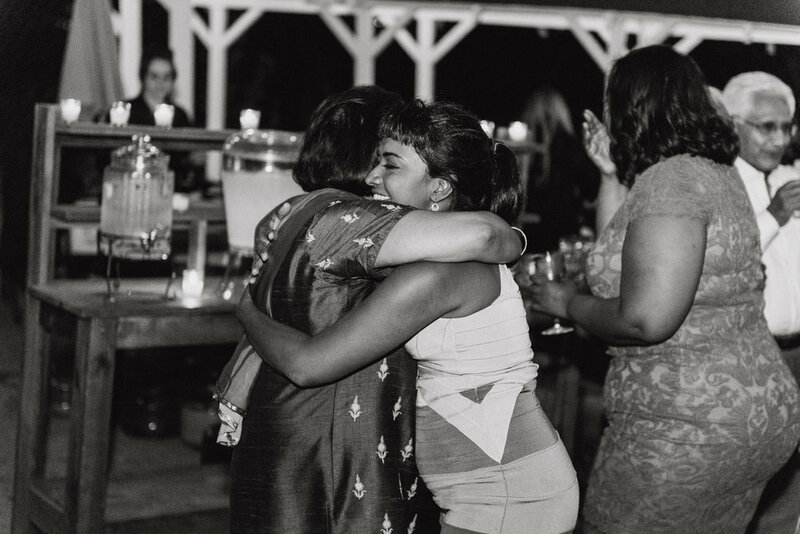 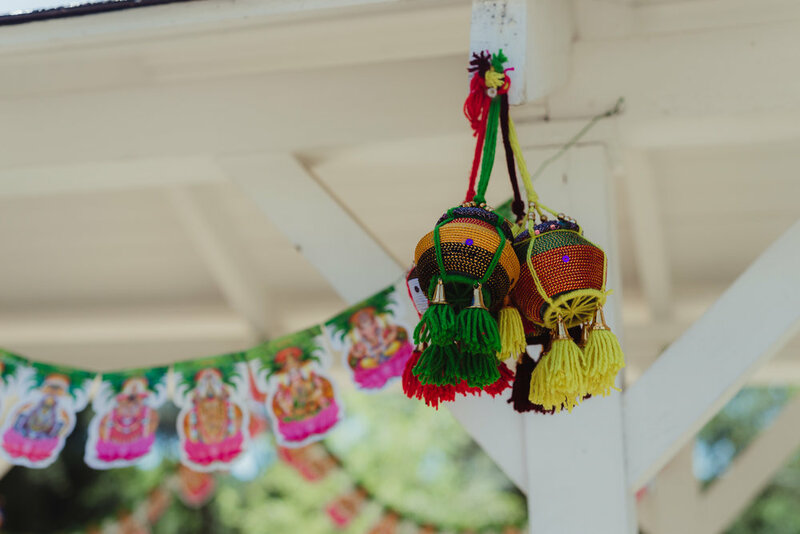 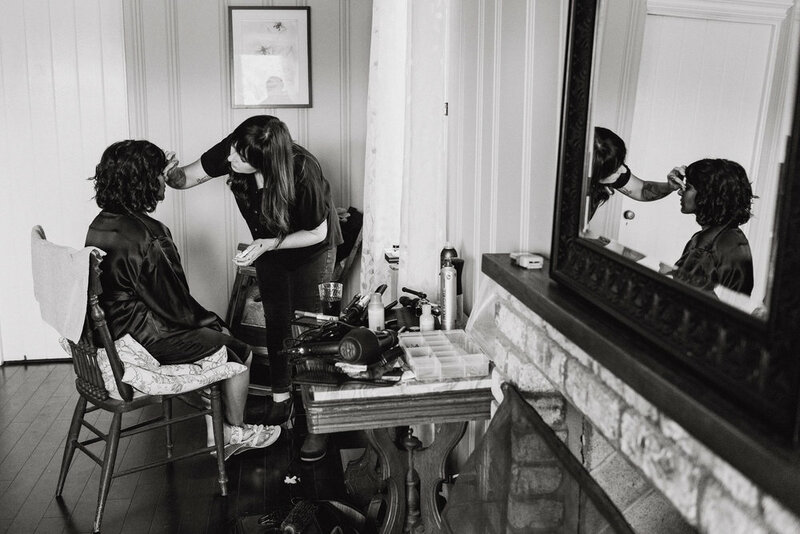 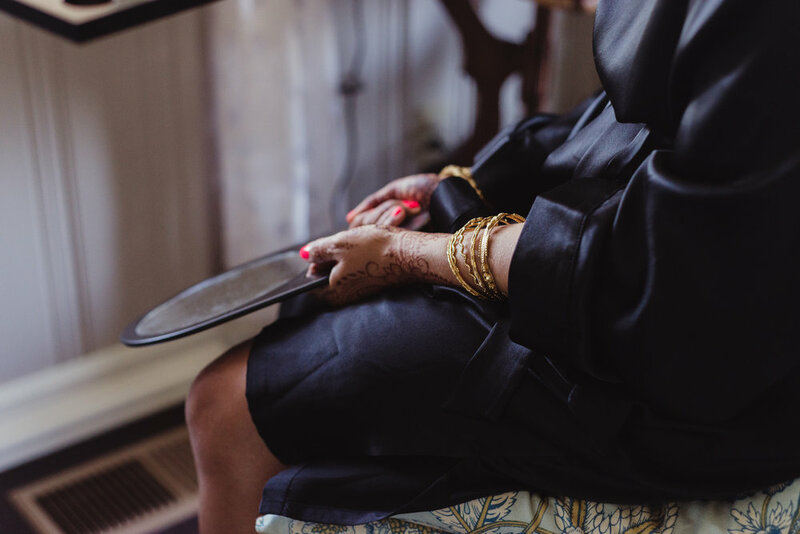 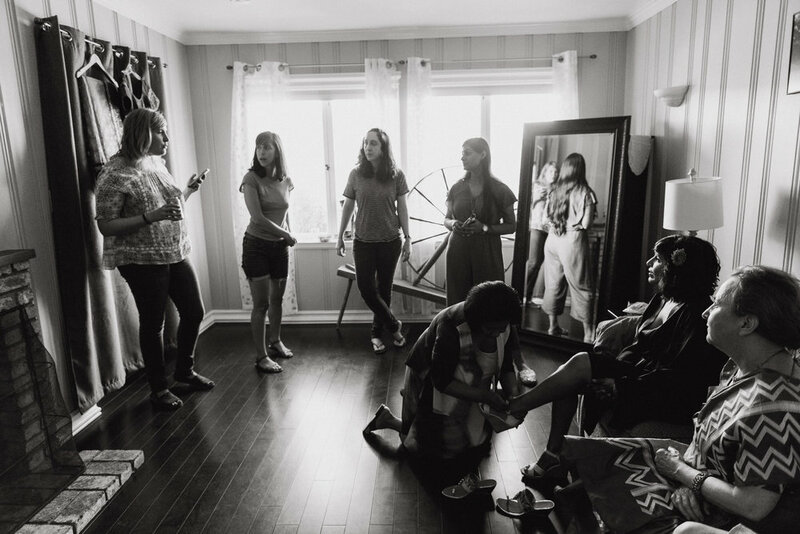 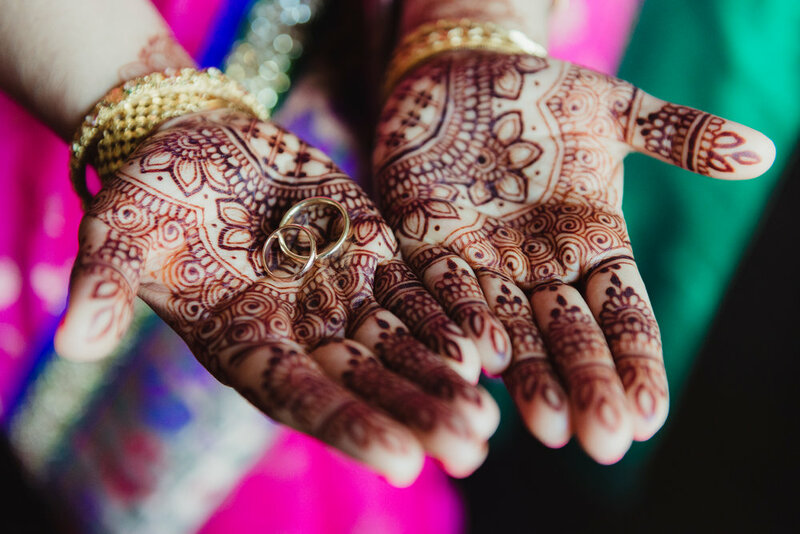 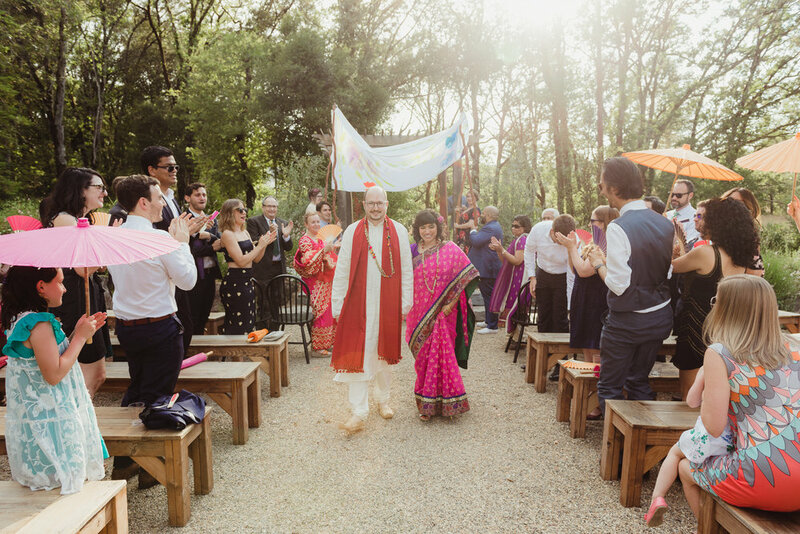 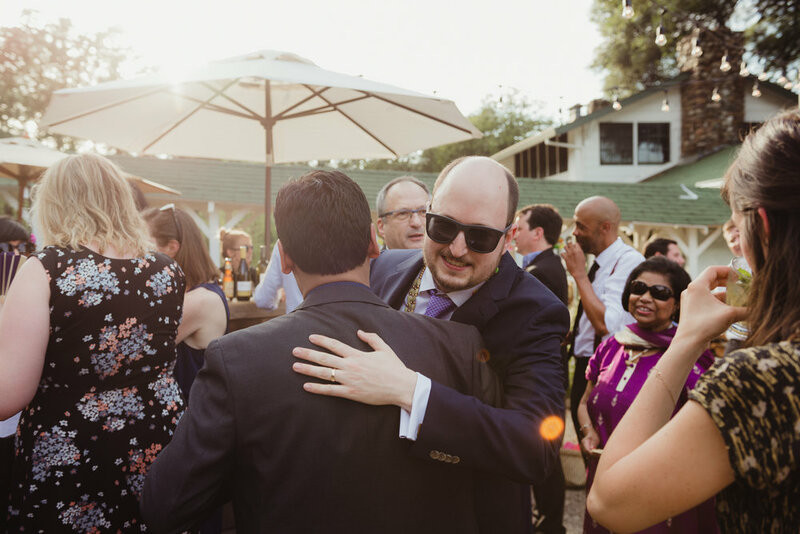 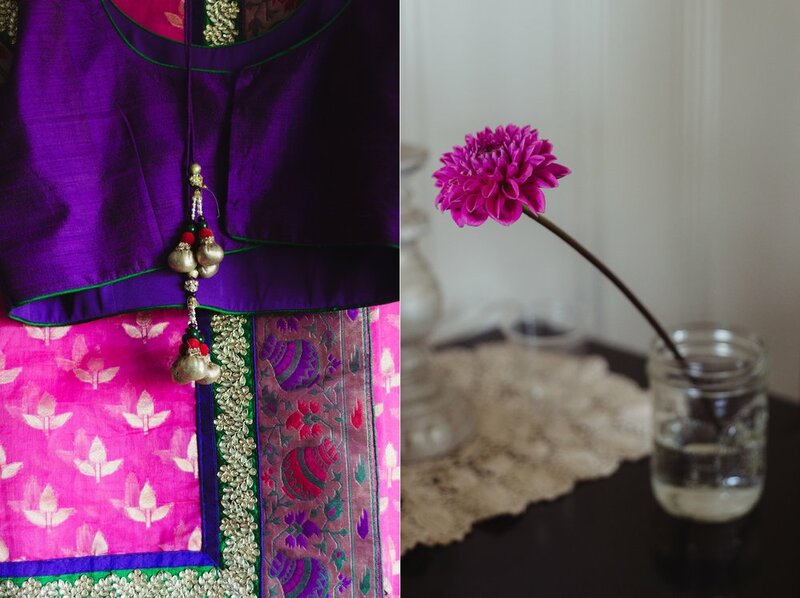 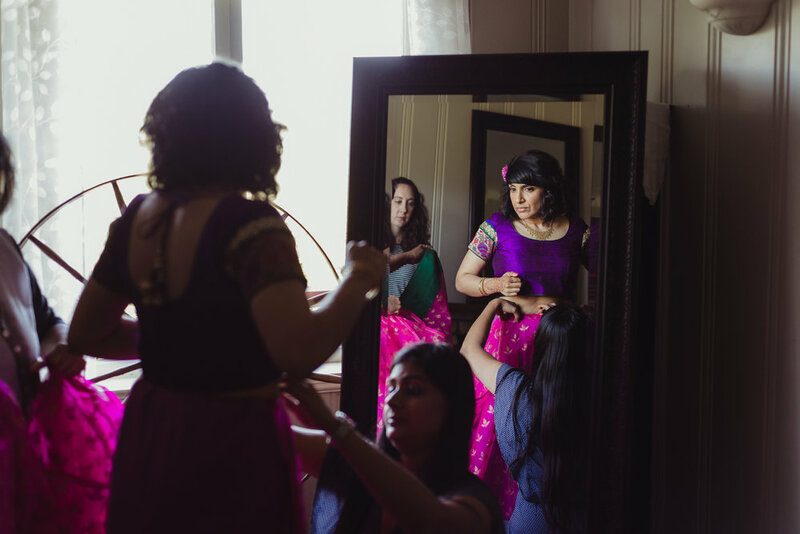 Nitasha and Noam combined their family's cultural traditions for their casual and colorful Yokayo Ranch wedding in Mendocino County. 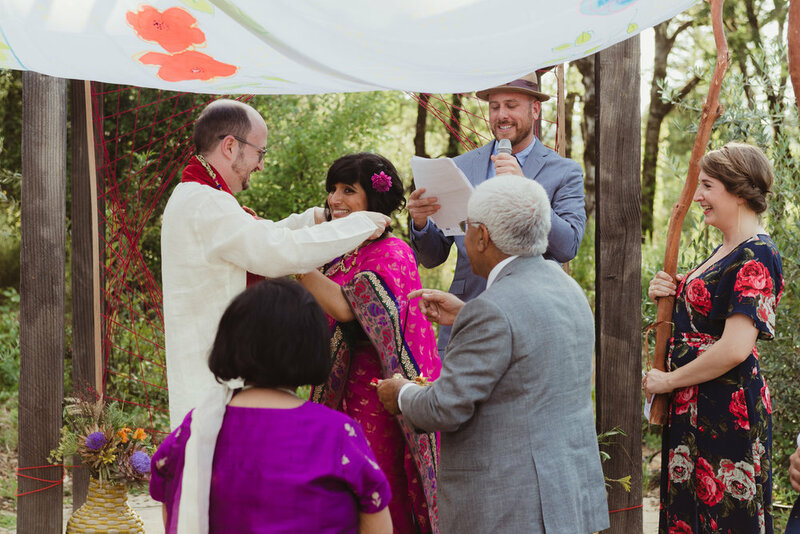 The ceremony included a chuppah carried in by the couple's siblings as well as Indian blessings and exchanging of beaded necklaces. 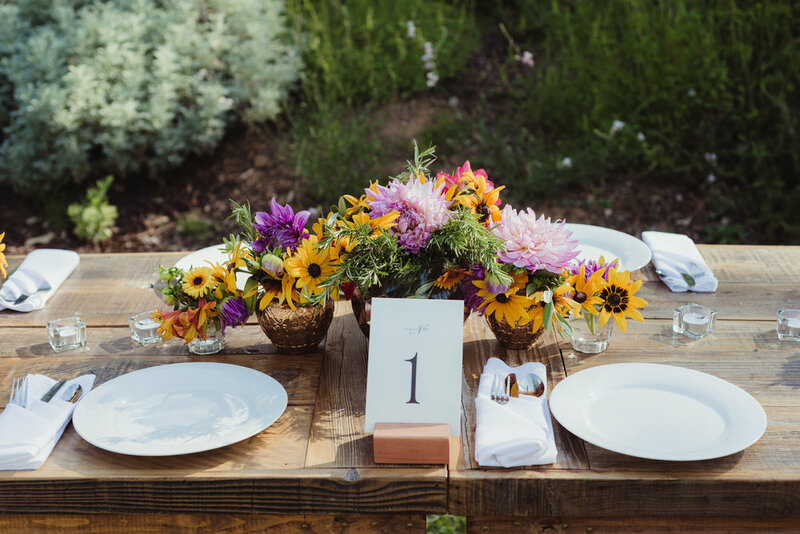 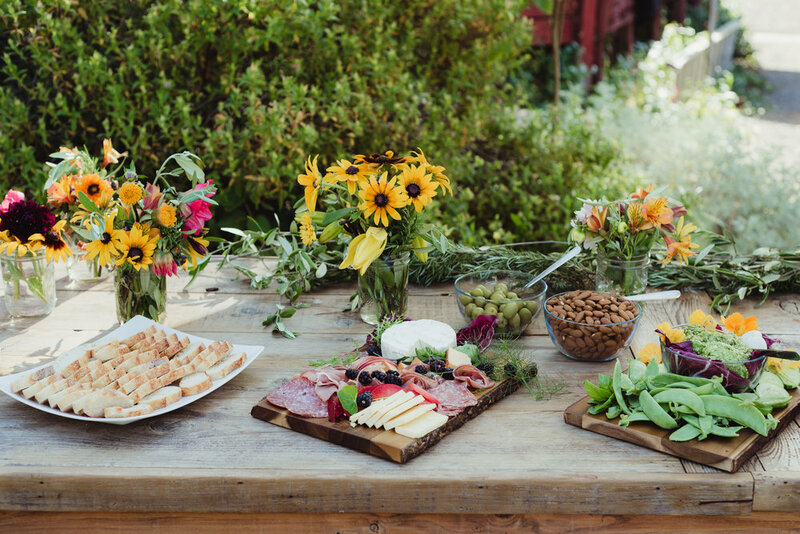 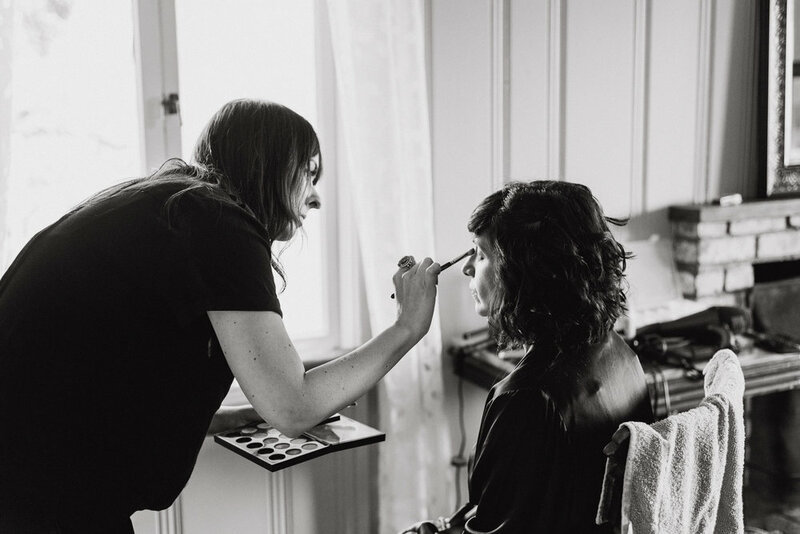 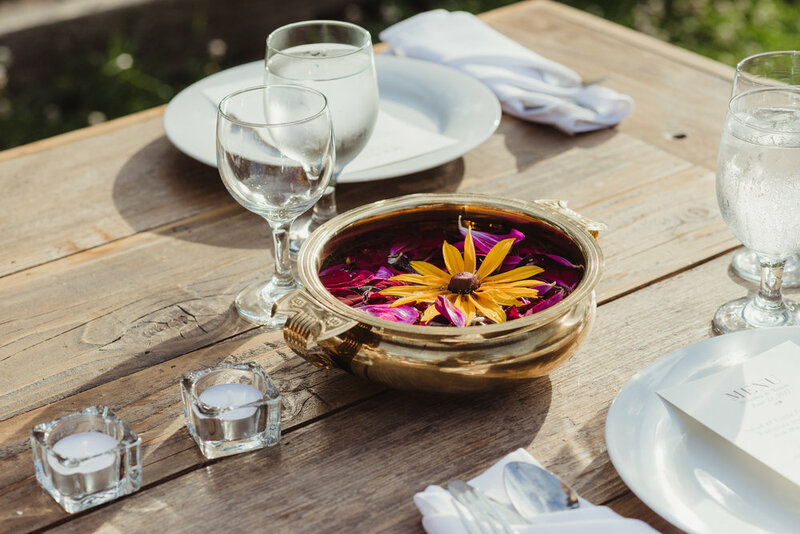 From the decor to the DIY floral arrangements to the delicious dinner was provided by Black Dog Farm Catering, the whole wedding was a community effort. 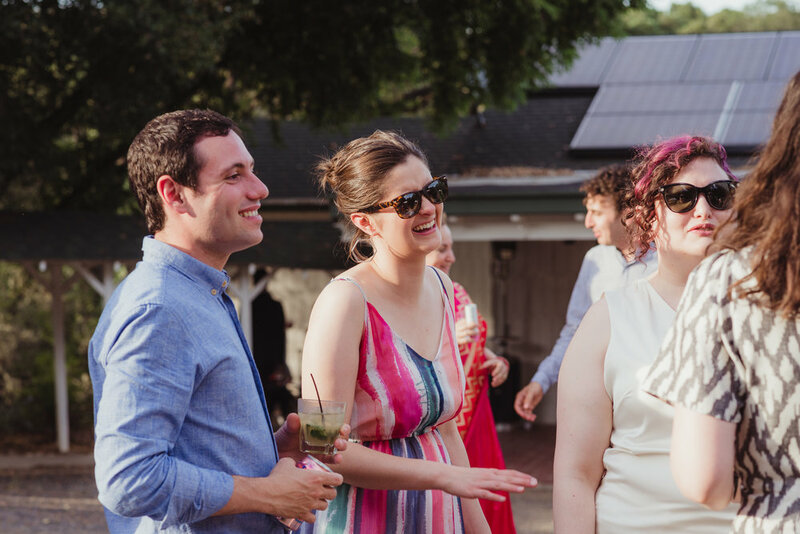 To beat the intense summer heat (it was about 98 degrees for a good part of the day) they started their festivities a bit later in the afternoon, allowing for an extended pre-cocktail hour for guests to mingle and catch up. 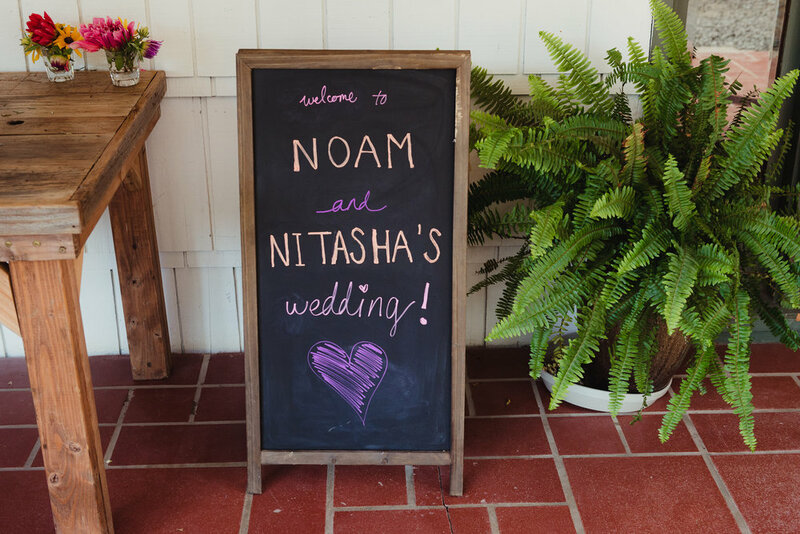 Nitasha and Noam's main priority was to have a relaxing weekend and the ranch's expansive property provided the perfect setting to do so.